There are 3 vehicles that match your search. 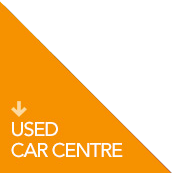 Search for your next approved used Kia here at Howards Motor Group. You can choose from hundreds of our listed Kia’s, and pay less with your local dealer. We offer you the customer great used Sorento deals, and you can even drive away in the 7 seater SUV today. The Sorento offers style and luxury features, whilst also maintaining practicality and technology. You’ll find this 7-seater family 4x4 extremely reasonable to run, with an average of 50mpg and CO2 emissions of 149g/km (depending on grade). Rivalling others in its class such as Hyundai Santa Fe, Skoda Kodiaq and Land Rover Discovery Sport, this family SUV is a class leader. Make sure you come down to our Howards Kia dealership based in Weston-super-Mare, Hildesheim Bridge. For directions just visit our Kia dealership page.